Morocco will obviously disappointed with the result of Sunday’s semi-final, but looking back there’s little they could have done differently in the match against Egypt. They created enough chances (not many clear-cut, but still enough) to win the match. A bobbly pitch and a deep-lying Egyptian defence meant that they were unlikely to create much by threading balls through to runners. Instead they relied on working the ball out wide intelligently, especially via Mbark Boussoufa, into wide areas for Hamza Mendyl and Nabil Dirar to serve up to Aziz Bouhaddouz to lay-off the ball or finish himself. Except Bouhaddouz couldn’t finish his breakfast-even if you pureed it for him. This problem was always likely to be Morocco’s undoing. Even though Youssef El-Arabi played most of the qualifiers he wasn’t fancied in Gabon. Unlike at club level, you obviously can’t buy players at international level, meaning Herve Renard had to work with what he had. Couple that with the likes of Sofiane Boufal and Oussama Tannane, both players who can add in a sprinkle of magic to a functional side, missing out through injury, and you’re looking at a side who probably reached their limit. Lesser managers than Renard would have struggled to put out a side with a coherent attacking game plan after with such key players missing. SFG had billed this game as the meeting of two of the tournament’s sharper tactical minds; a meeting of French and Argentine Steve Komphela, if you will. And what happened today, though not the most enthralling of games, hasn’t changed that feeling. This was also the meeting of arguably the two most organised sides in the tournament, as their victories over Ghana and Egypt in the first phase showed. Like two years ago, Renard came into the tournament not knowing his best system or best XI, with his team selection ponderings compounded by the well-documented absentees. But he has once again used the tunnel-vision of tournament football to add a real grittiness to the Morocco team. He has masked the weakness of his backline by the system he has deployed and got the most out of what he has. Cuper has done likewise, hiding the lack of pace at the core of his defence by having Ali Gabr and Ahmed Hegazy retreat. Though there had to be one loser today, it’s clear these two coaches know the art of tournament football and they are both doing very good jobs for their respective countries. 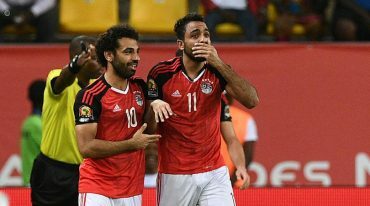 If they remain in charge, which they surely should do, teams on the continent will be well aware matches against Egypt or Morocco won’t be easy. The tournament’s most outstanding midfield duo were undoubtedly Mbark Boussoufa and Karim El Ahmadi. At 32 the Dutch-born pair are not getting any younger, and they will surely consider this their last AFCON as key members of the squad, but their stamina (playing every single minute of every game) and composure over the four games has made any midfield against them come second best. El Ahmadi has been the quiet destructor, though at the same time a cherisher of the ball. Boussoufa, who has also partly been on set-piece duty, has played a slightly advanced role, mobile enough to spark the pressing that Renard desires but also able to come up with the crowd-wowing moments, like his shot which hit the crossbar tonight.